Cadence Design Systems Inc (NASDAQ:CDNS) investors should pay attention to an increase in enthusiasm from smart money recently. Our calculations also showed that CDNS isn’t among the 30 most popular stocks among hedge funds. We’re going to take a gander at the new hedge fund action regarding Cadence Design Systems Inc (NASDAQ:CDNS). How are hedge funds trading Cadence Design Systems Inc (NASDAQ:CDNS)? At the end of the third quarter, a total of 32 of the hedge funds tracked by Insider Monkey were bullish on this stock, a change of 45% from the second quarter of 2018. 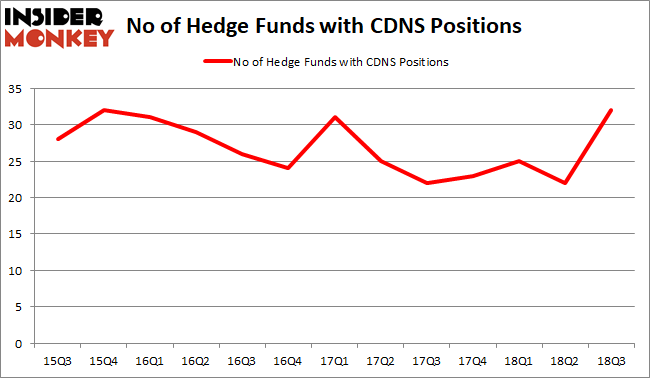 On the other hand, there were a total of 23 hedge funds with a bullish position in CDNS at the beginning of this year. With hedgies’ capital changing hands, there exists an “upper tier” of noteworthy hedge fund managers who were increasing their holdings considerably (or already accumulated large positions). When looking at the institutional investors followed by Insider Monkey, Alkeon Capital Management, managed by Panayotis Takis Sparaggis, holds the most valuable position in Cadence Design Systems Inc (NASDAQ:CDNS). Alkeon Capital Management has a $249.8 million position in the stock, comprising 1.2% of its 13F portfolio. The second largest stake is held by Cliff Asness of AQR Capital Management, with a $233.8 million position; the fund has 0.2% of its 13F portfolio invested in the stock. Other hedge funds and institutional investors that hold long positions encompass Ken Griffin’s Citadel Investment Group, Noam Gottesman’s GLG Partners and D. E. Shaw’s D E Shaw. Now, specific money managers were leading the bulls’ herd. Stevens Capital Management, managed by Matthew Tewksbury, established the biggest position in Cadence Design Systems Inc (NASDAQ:CDNS). Stevens Capital Management had $10.4 million invested in the company at the end of the quarter. Ernest Chow and Jonathan Howe’s Sensato Capital Management also initiated a $3.5 million position during the quarter. 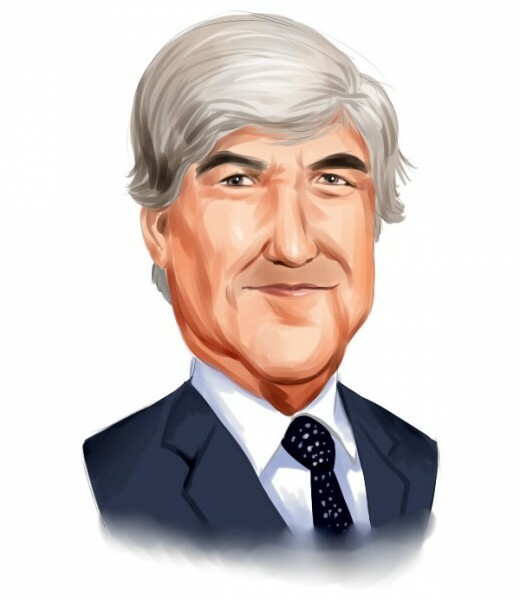 The other funds with new positions in the stock are George Hall’s Clinton Group, Alec Litowitz and Ross Laser’s Magnetar Capital, and Bruce Kovner’s Caxton Associates LP. Let’s now take a look at hedge fund activity in other stocks similar to Cadence Design Systems Inc (NASDAQ:CDNS). We will take a look at Expeditors International of Washington (NASDAQ:EXPD), International Flavors & Fragrances Inc (NYSE:IFF), Elanco Animal Health Incorporated (NYSE:ELAN), and Norwegian Cruise Line Holdings Ltd (NASDAQ:NCLH). This group of stocks’ market valuations match CDNS’s market valuation. As you can see these stocks had an average of 30.25 hedge funds with bullish positions and the average amount invested in these stocks was $625.83 billion. That figure was $1.31 billion in CDNS’s case. Norwegian Cruise Line Holdings Ltd (NASDAQ:NCLH) is the most popular stock in this table. On the other hand Expeditors International of Washington (NASDAQ:EXPD) is the least popular one with only 22 bullish hedge fund positions. Cadence Design Systems Inc (NASDAQ:CDNS) is not the most popular stock in this group but hedge fund interest is still above average. This is a slightly positive signal but we’d rather spend our time researching stocks that hedge funds are piling on. In this regard NCLH might be a better candidate to consider a long position.